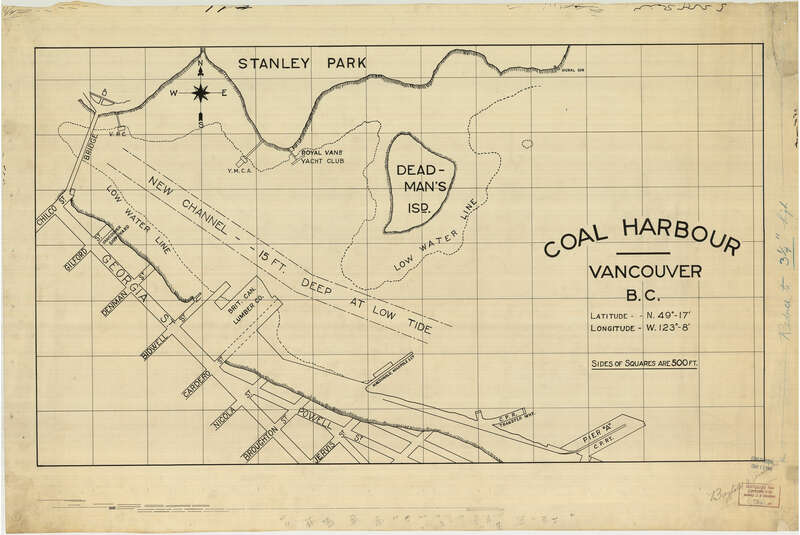 Item : MAP 865 - Coal Harbour, Vancouver, B.C. 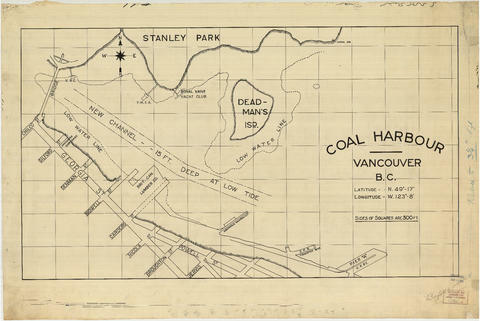 Item is a map depicting the shoreline of Stanley Park and the West End, the low water line and the new channel. Annotation along right hand edge of recto reads "Reduce to 3 1/4" high".